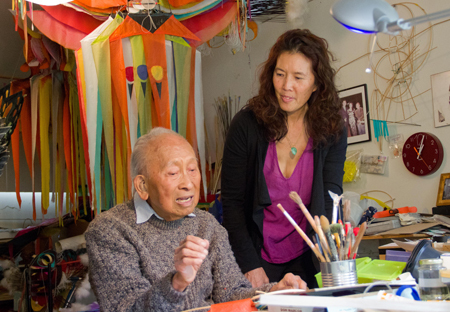 (Documentary/Animation Feature) Portrait of an artist as a young man, and beyond—TYRUS is the portrayal of 105-year old Guangzhou-born, L.A.-based visual artist Tyrus Wong, documenting how his unique style, melding Chinese calligraphic and landscape influences with contemporary Western art, helped establish the signature visual styles for the Disney animated film Bambi (1942) and other early Hollywood studio movies. The film makes meticulous use of Wong’s exquisite art, archival footage, illuminating interviews, animation by renowned animator James Baxter (Kung Fu Panda, The Lion King, Beauty and the Beast), and commentary from Wong himself, to render the breakthtaking scope of his work—encompassing a personal and professional journey navigating racial bigotry through 20th century America. 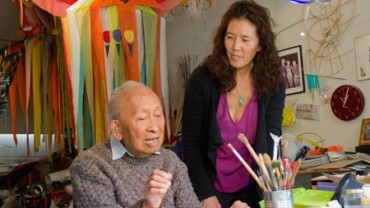 The most legendary Asian American artist you’ve (probably) never heard of: Tyrus celebrates the life and art of 105-year old L.A.-based artist Tyrus Wong, a Chinese American painter, production illustrator, lithographer, and kite builder best known for his concept art for Walt Disney's feature animated film Bambi (1942).